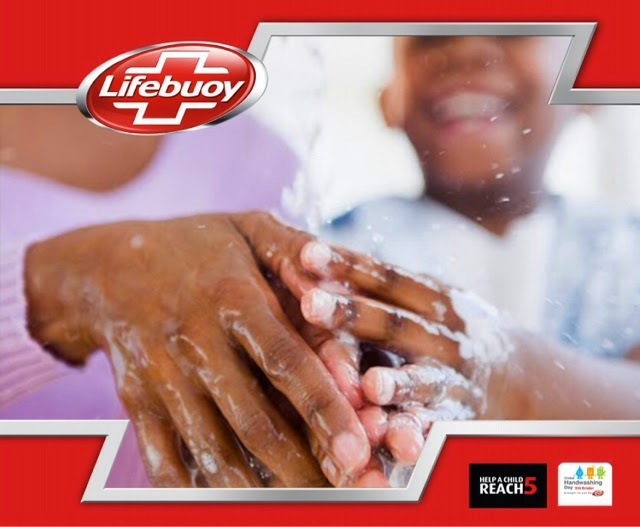 Hey guys, October 15th is Global Handwashing Day and I bring to you why this day is important and how each one of us can help to reinforce the habit of Handwashing. 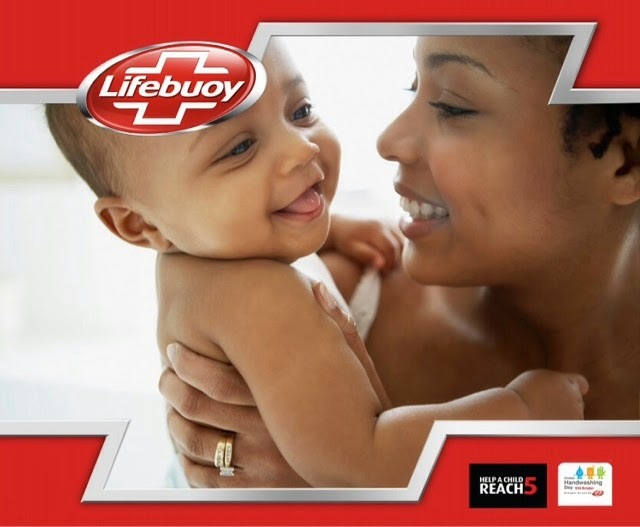 You can also join the campaign on twitter using #LifebuoyGHD or #HelpAChildReach5 . Handwashing is very easy to practise and is the most cost-effective strategy to prevent infection, however this simple act has been neglected and the consequences are severe. There is a clear link between poor hygiene and sanitation and detrimental health outcomes especially in developing countries. According to the W.H.O., approximately half a million children die every year of diarrheal diseases caused by unsafe water, poor sanitation and unhygienic practices. Children right from birth risk infections,illnesses,delayed and reduced cognitive function as a result. It is estimated that washing hands with soap and water could reduce diarrheal diseases associated deaths by up to 50%. If everyone routinely washed their hands, a million deaths a year could be prevented. That single act of Handwashing is a health intervention that can help achieve the Millenium Development goal 4 and 5, that is to reduce child mortality and improve maternal health. The combined benefit of Handwashing, food hygiene and household hygiene reduce infant diarrhoea by more than one-third. A large percentage of food borne disease outbreaks are spread by contaminated hands, and appropriate Handwashing can reduce the risk. Before eating or handling food. We all have a role to play to bring about improved health, prevent diseases and save lives by creating awareness at home, at work and on social media about the importance of Handwashing and why it should be a part of our daily lives. You would be helping a child out there reach the age of 5 .